The immigrant population in the United States increased by 9.3 million in the ten years between 2000 and 2011 based on data collected by the Migration Policy Institute, with six states—California, Florida, Illinois, New Jersey, New York and Texas—leading in foreign-born populations in 2011. 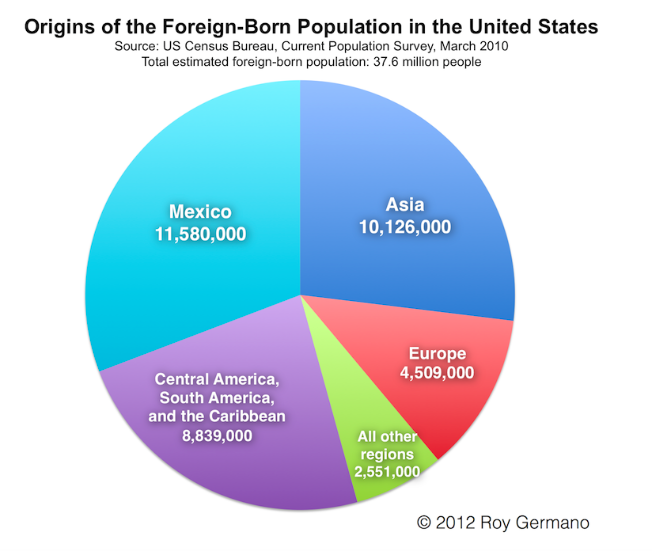 In March 2010, the U.S. Census Bureau indicated that 37.6 million foreign-born people were living in the United States, with immigrants coming primarily from Mexico, Asia, Central America, South America, the Caribbean, and Europe. 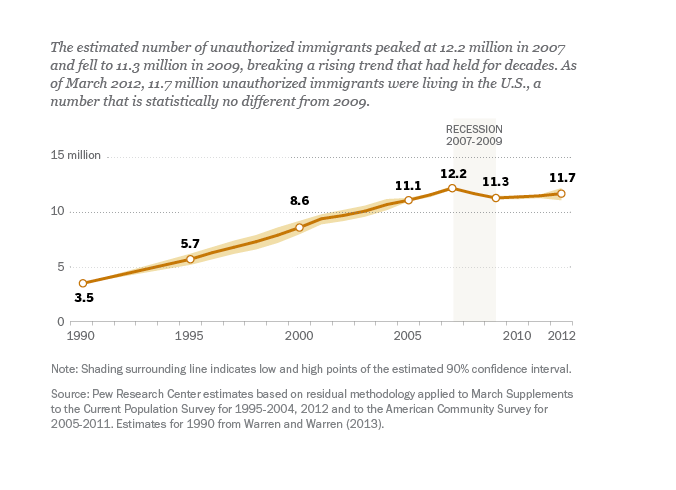 After rising for decades, unauthorized immigration peaked in 2007 at 12.2 percent and declined during the 2007 – 2009 recession. As of March 2012, 11.7 million undocumented immigrants were living in the United States, according to the Pew Research Center . Current trends indicate that Americans are ready for immigration reform. As indicated by a CBS News October 2013 poll, seventy five percent of Americans favor “a path to citizenship for undocumented immigrants in the U.S. if they met certain requirements including a waiting period, paying fines and back taxes, passing criminal background checks, and learning English.” The same study indicated that fifty percent of Americans are more concerned about securing the nation’s border than addressing the status of illegal immigrants.